Simplify software licensing and procurement with Marketplace's 4,200 software listings from more than 1,400 software sellers from Security, Networking, Storage, Business Intelligence/Big Data, Database, and DevOps categories. • Find and deploy the solution you want in minutes: Solutions are pre-configured to run on AWS, so your team doesn't have to spend a lot of time tweaking the settings. 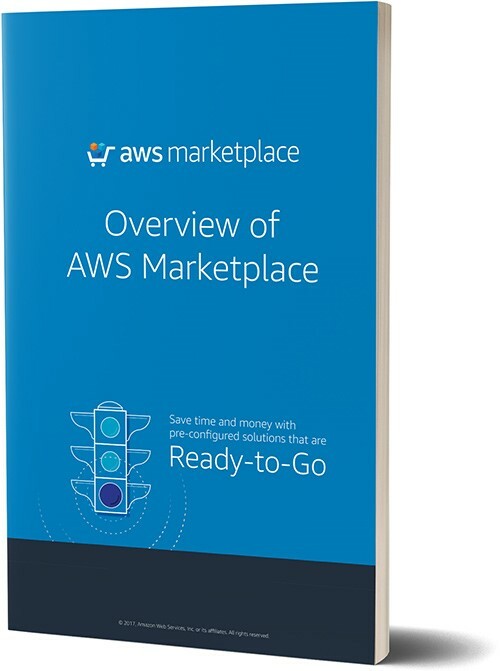 • Save money with pay-as-you-go pricing: You can see your AWS services and the software charges in one bill, so you don't have to set up a new vendor to take advantage of their offerings. • Scale globally across AWS regions: With many regions and available zones around the world, while still enjoying the reliability of the AWS infrastructure.